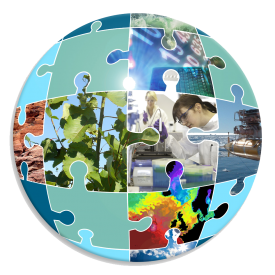 INSPIRE creates an innovative multi-disciplinary partnership for the effective training of scientists capable of taking on the global environmental challenges of the 21st century. To meet these challenges, the University of Southampton and hosting partners submitted a joint bid to NERC to create an innovative multi-disciplinary DTP: the Interdisciplinary Southampton Partnership for Investigators Researching the Environment ‘INSPIRE’. As announced in October 2018, the INSPIRE DTP will receive £7M funding from NERC and, together with supporting co-funding across the University and hosting partners, aims to support a cohort of up to 30 students a year over each of the next five years. INSPIRE will equip the next generation of environmental science leaders with the skills and knowledge they will need to exploit and develop diverse new technologies (e.g., autonomous platforms, novel sensors, next-generation sequencing) and techniques (e.g., high-level numeracy, Big-Data handling, numerical modelling, crowd sourcing, bioinformatics, machine learning) and effectively apply these tools in tackling the key environmental science challenges of the future.